Do you often fancy landing on an alien planet? And then do you think how would you survive there? You can experience that and experiment with it now, with an open world voxel based sandbox RPG game – Planet Explorers! Its setting is on a distant planet. Planet Explorers developed by Pathea has a lot of open world elements to keep you obsessed for hours with its profound gameplay. 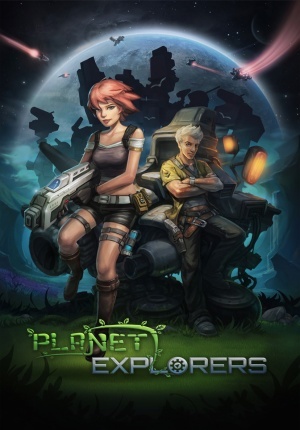 Planet Explorers makes use of a new OpenCL system founded on the Unity 3D engine to let players change the terrain in any manner, by creating new items like vehicles, weapons, goods etc, and do it anywhere. Planet Explorers allows you to play one of the three modes in single player or put the game in a multiplayer environment. The game modes consist of the main story mode which has much resemblance with Minecraft survival, but with several more options and features. The other two modes are the quest-based adventure mode and build mode – a creative outlet in the game centered on building and imagination. Multiplayer options contain coop and versus modes. Planet Explorers is a story in the distant future, i.e. in 2287, and begins with a player crash landing on a remote planet, Maria. Originally the mission is to colonize on the planet which turns later to a mission for mere survival because of the unfriendly environment. If you want to survive in the game environment, you will need to explore your surroundings, collect required resources, create structures and tools, fight or make friends with the inhabitants on the planet, and more. Planet Explorers indeed has everything that you ever expect from a game and the features are literally numerous and impressive. Some of the worth noting features are huge game world (story mode is hand crafted whereas the other modes are procedural), long range view distances, in game blue prints, farming, large enemy variety and options for strategic relations with planet inhabitants. Players having an appetite for the depth Planet Explorers has will enjoy the game a lot and their dedication will be admired by other players when they would share their designs – a feature Planet Explorers is promoting. 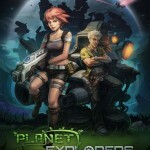 Planet Explorers is a science-fiction RPG with open world/sandbox features. You can spend hundreds of entertaining hours with Planet Explorers if you want to invest the time to dig them out. It gives you a great visual experience. Developer Panthea is constantly updating the game, and the already featureful game is becoming more packed with content and features. So, if you are not playing Planet Explorers, you are keeping yourself away from a great fun game having a crazy amount of gameplay depth.